Read On the Fly is the brainchild of Alaska family travel journalist Erin Kirkland, mother of two sons and an avid reader. Launched in 2016 at Ted Stevens Anchorage International Airport, ROtF seeks to encourage kids of all ages to pick up a book instead of an electronic device before, during, or after a flight. How does Read On the Fly work? The premise is simple. Give kids 0-18 access to books while traveling by air in Alaska. All books are donated, vetted, tagged, and distributed by Read On the Fly volunteers on a regular basis. Children are welcome to keep their chosen book in the hope that ROtF books will make their way around the world. YES! Donate a book for children 0-18 at any of our drop-off sites (listed below), or sign up to help pick up, classify, tag, and stock books for distribution. All books should be in good condition and age-appropriate in content. Questions? Ask for guidance from Read On the Fly managers. 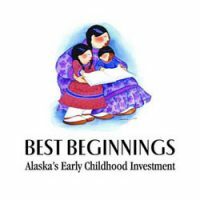 As of January 1, 2017, Read On the Fly has the support of Best Beginnings Alaska (bestbeginningsalaska.org) as a fiscal sponsoring organization. This means the program will be able to apply for grant funding, host fundraising events, and receive individual and business contributions to help with administrative costs associated with operating Read On the Fly statewide. Learn more, or offer your gift HERE. 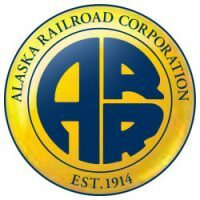 Read On the Fly is a sub-brand of AKontheGO.com, Alaska’s only resource for family travel. Launched in June, 2016 at Ted Stevens Anchorage International Airport with four bookshelves, ROtF provides free books for children ages 0-16 traveling by air in Alaska. All books provided for the project are donated; books must be in good condition and will vetted by Read On the Fly volunteers. Bookshelves in the reading areas are stocked on a regular basis and children may choose to pick out a book to read while waiting for a flight, or select one book to take on their journey. Operating similarly to the “take a book-leave a book” shelves found in many hotels or restaurants, Read On the Fly shelves will contain books for kids 0-16. YES! Donate a book for children 0-16, volunteer to pick up books from our three drop-off sites (listed below) or help classify, mark, and load books for distribution. Books should be in good condition and appropriate in content. As of January 1, 2017 Read On the Fly has the support of Best Beginnings Alaska as fiscal sponsoring agency. This means the project will be able to apply for grant funding, host fundraising events, and receive individual and business donations in addition to our books generously given to the program.